August 18 - Jukebox Saturday Night - 7:30 p.m.
Jukebox Saturday Night is a musical review of the great Big Bands during the 1930’s, 40’s and 50’s. 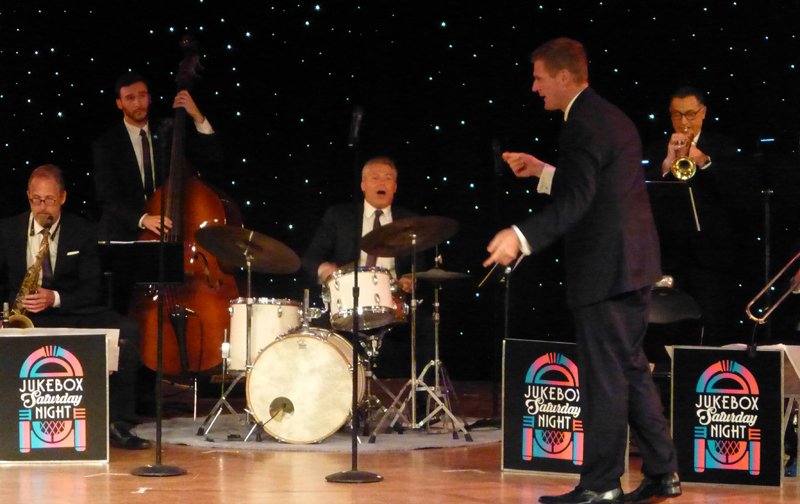 This performance celebrates America’s Swing Era featuring the greatest hits recorded by Glenn Miller, Duke Ellington, Tommy and Jimmy Dorsey, Count Basie, Benny Goodman, Jimmie Lunceford, Artie Shaw, Harry James, Les Brown, Woody Herman and many others. Featured performers of this ensemble are veterans from some of the bands named above! Click here to purchase tickets! Tickets $17.50. Main Stage, General Admission. 7:30 p.m.